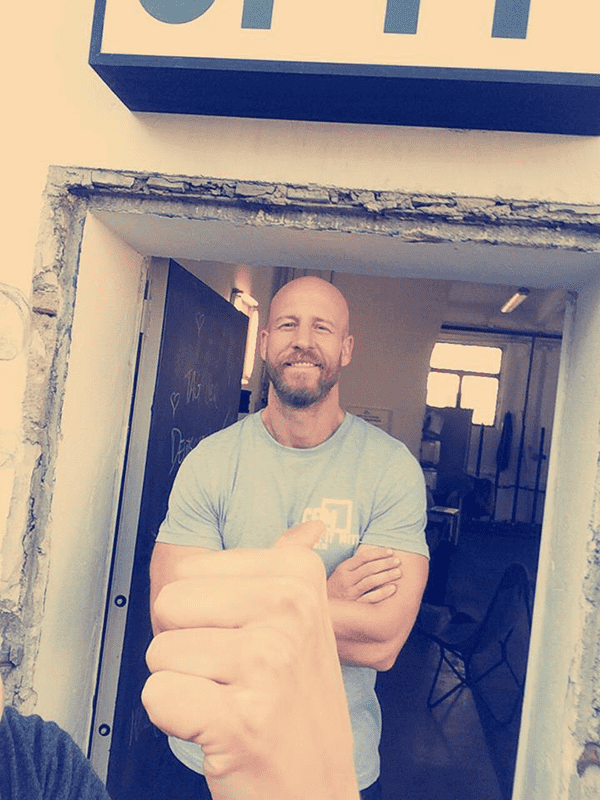 Today our guest is Lars Runne, box-owner of Crossfit Mitte, giving us a little insight into what happens at his BOX! When I was younger I did a lot of professional sports. After university I started my own business and downgraded to a leisure sportsman. The company developed very well, we have been working successfully very hard all over the world, but after 10 years, I felt empty. I needed a change. A good friend told me about Myleo CrossFit. There I met Leo, a great personality and Crossfit entrepreneur from Berlin. I joined. And although I was last on the clock for weeks, I felt positive and full of energy again. The effect was fantastic and influenced my next decisions. My body changed completely, I developed a six pack and felt strong – physically and mentally, ready for the next challenges with my job, relationships and everything else. From that point on I decided I want to pass on that knowledge and transformation formula to other people experiencing the same. I have a huge passion for helping other people, coaching or adjusting their milestones in life. In my opinion, everything you do needs to be authentic and hooked to a personal story. Crossfit needs to grow in Germany, since it unites great people. I travelled to the States to do my CFL 1 and I personally saw the franchise system positive, since it leaves room for your own interpretation as a tool for life. Nowhere else I have met people that help each other so much and it feels great to be part of an international community. Since Crossfit has changed my personal life, I like to pass this message to everyone -but especially to people as me, that feel stuck with their jobs or any other relation. 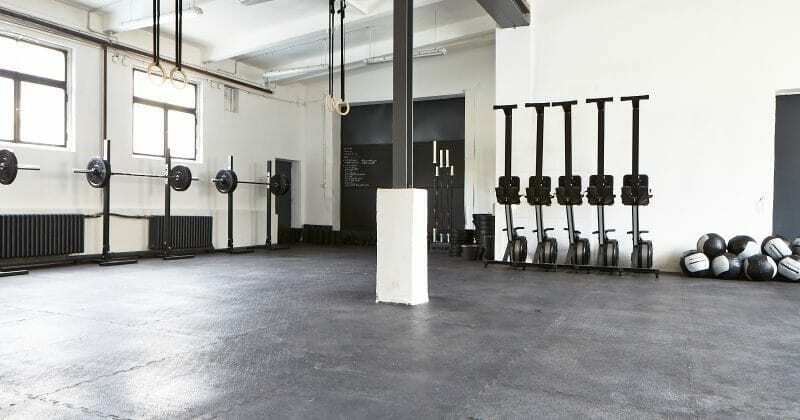 Berlin needed a stylish location in the East Part and that is why I decided to open up CrossFit Mitte. And last but not least, you always need a trustful partner in this. I decided for Bastian Bienlein and he decided for me. In my opinion he’s the best Crossfit coach in Berlin with his state of the art and modern Crossfit interpretation – a very high level of mobility to avoid injuries. We linked from the beginning and caught fire to do it together. A box lives from its people and the people we have are fantastic. We promise small groups up to max of 8 people since we have analysed that this is important to transfer the difficult techniques of Crossfit movements. You could consider us as a small stylish restaurant -similar to the ambient you meet around Mitte Torstrasse, which is 5 min away. CrossFit Mitte is like a clubhouse with a 200 sqm training space. The location was an old car garage and we tried to keep as much as possible from it. You get what you see and meet the owners Basti and me every day. We have a big heart and our “aperitif” at the end of your meal (WOD) will be a fresh coconut water, ha ha. Also for our international guests it may be important that CrossFit Mitte has free Wifi. And since we like to do things differently, a small part of your Membership (EUR 5, 00) is donated by us to a local Berlin organization, for example www.stiftung-spi.de. We think that a lot of people are looking for a chance or push to donate something and since we are not cheap, this is a good way to give something back. As a stylish feature, we offer Crossfit TV in each locker room. We have installed a state of the art Mirror TV directly on the old brick wall, where you can follow the latest news from the Games or interviews with Crossfit stars. In general CrossFit Mitte has just started. Right now, our female client percentage is higher than you normally have at the box. We have a competition class, where athletes can prepare for events. But you could say that right now our clients are middle aged urban working people with an affinity to “Mitte Life Style”. We always offer different events like Yoga, Coaching, Kettlebell, Olympic Lifting and company team buildins from time to time, where we have a co-operation with specialists in this field. Yes, but currently more through our competition members sharing their knowledge with others. In our box you can get Omega 3, Zinc/Mag/ B6, Beef Jerky, Quest Bars, Muscle Milk, Coco Nut Water. Also we have a CFM Library where you can take home all kinds of Paleo recipes or recipes shared by our members. We would first invite you to understand what beginner means, it will be a 1,5 hours personal training. If you already do sports in any kind this could help you adjust to Crossfit easy. If not, since we allow only 8 people in the class, Bastian would watch you to scale certain skills in the beginning, but we would allow you to be in the same class as the others (not the pro class though). We do not organise our own, but we have pros that regularly participate at Cry me a River, German Throwdown, Hamburg Classic, etc. There are many events now in Germany. The community in Berlin is still small and since most of the people opening up their own boxes and members started at Myleo, we are all in touch. You are welcome of course. English language is not a problem. Just contact us at contact@crossfitmitte.de.